Come and join in on the food, fun, and games. 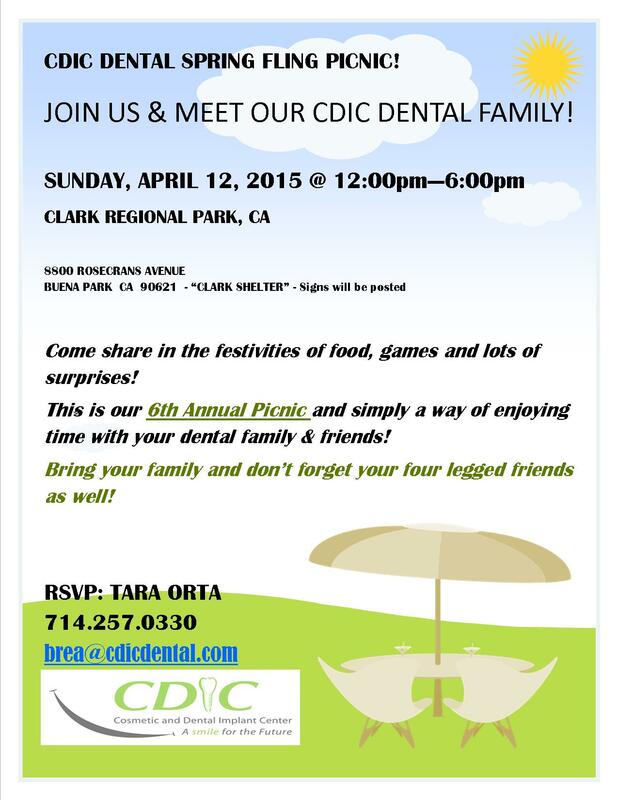 Come and join us for our annual spring picnic filled with food, games and other activities. 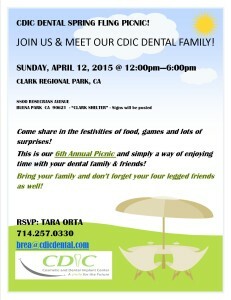 Please RSVP with Tara Orta at (714)257-0330 or Brea@cdicdental.com. This entry was posted in Blog on March 6, 2015 by Francis Nguyen.